How Sweet Change Can Be! 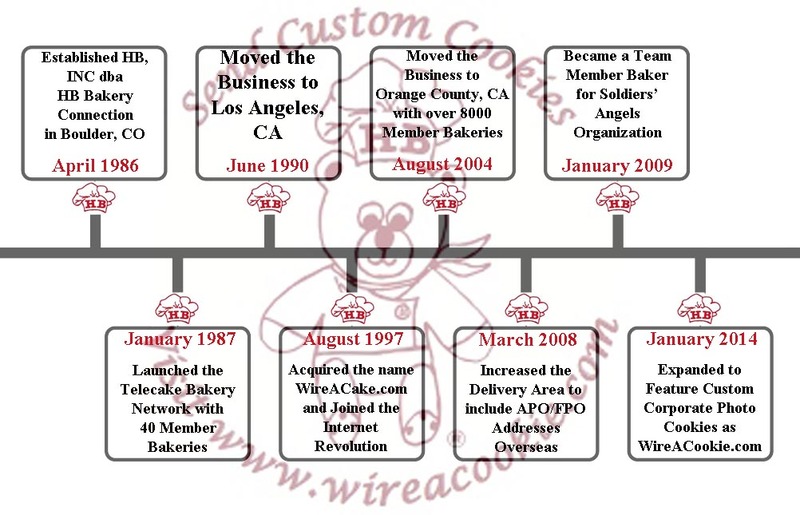 You know us from the original bakery telecake network formed in 1987 offering celebration cakes across the USA through our member bakery network, to 2008 coming up with a travel stable cake that could take the long journey to APO & FPOs on the front lines in Iraq & Afghanistan, and we are once again transitioning to introduce www.WIREACOOKIE.com! and speak to one of our friendly cookie representatives who are available to take your order during business hours.